A clear pathway to more competitive opportunities in the U11-U19 age groups. Opportunity for partner club players to participate in our Elite Academy Camps, ID Camps, Functional Training, etc. Onsite camp assistance. We bring our camp to your location. Opportunity to attend our annual college recruiting seminar and or receive college recruiting education assistance. 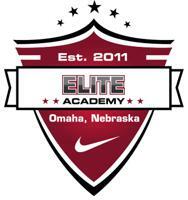 If you have interest in becoming an Elite Academy Partner Club, contact Marcus Kelcher for more information.